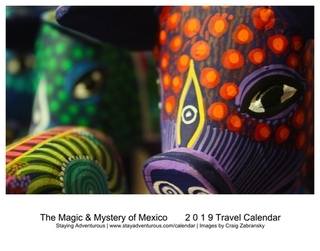 Next week I’ll be starting another holiday Mazatlan. It will be a special holiday too. I am heading to Mazatlan for Carnival. I’ve heard the celebration is the third largest in the Americas (Rio, New Orleans are 1,2), now I’ll finally know first hand. 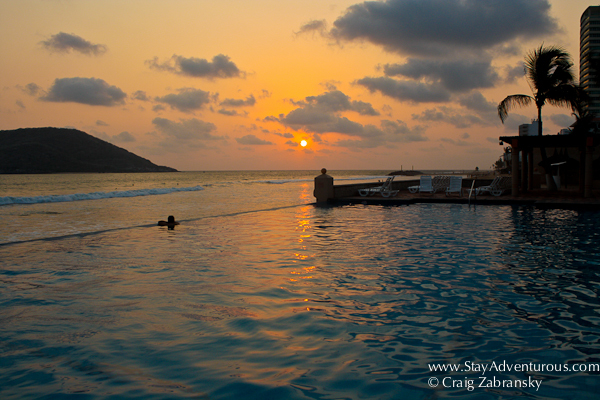 Therefore as part of my preparation I reviewed my images from my recent travels to Mazatlan. I noticed and decided to share this sunset stop at the Holiday Inn on the way from the Golden Zone to Old Town. I recall the calmness of the moment, a calmness I wonder if I will find at all during Carnival. We’ll see. Happy Sunset Sunday. Travel Tip: Don’t discount the Holiday Inn as a place to stay in Mexico, they seem to always have a great location. And if you want to follow me while at Carnival you can find me on twitter @stayadventurous, or on instagram at @stayadventurous too. I arrive in Mazatlan late Thursday night (Feb 7th) and leave on Ash Wednesday (Feb 13th). Beautiful! Have fun at Carnival! Nice! Enjoy Mazatlan. That shot is gorgeous…great way to close out the day! Looking forward to hearing more about Carnival. Sounds like a great time.